When your child shows an interest in gymnastics, it’s natural that you’d want to be as supportive as possible. It’s easy to encourage them to train as hard as they can, or have them invest extra time working out to improve their skills, but it’s actually their instructor’s job to make sure they’re training at the level they should be, practicing the skills that they are capable of. As their parent, it’s your job to make sure they’re balancing their life in gymnastics with their life at school and home. If your child has expressed an interest in taking gymnastics, sign them up at Mountain Kids in Fort Collins. Our experienced, trained staff is dedicated to providing children with the knowledge they need to succeed in the sport, which, in turn, helps them succeed in life. When your child is spending hours every week training in gymnastics on top of going to school, it’s important that they’re receiving the nutrients and hydration they need to continue to practice to the best of their ability. Make sure they’re drinking double their body weight in ounces of water everyday to stay hydrated, and feed them plenty of protein and vegetables to give them the fuel they need. When your child is involved in a physically demanding sport like gymnastics, it’s important to make sure they’re getting enough sleep to stay healthy. If they’re not getting enough rest, their performance will start to suffer — in both school and gymnastics — because they don’t have as much energy as they need. Being physically and emotionally healthy is key to living a successful life, and it’s important to your child’s training in gymnastics. If they’re sick, make sure they rest and hydrate. If they’re experiencing pain, take them to the doctor to check for an injury. If they’re stressed or unhappy, this could also affect their performance and put them at risk for injury, so make sure you’re talking to your child and giving them the skills they need to cope with their emotions in a healthy way. Your child is going to experience different emotions as they go through the training process. It’s important for you to listen to their feelings about practice. Whether they’re feeling frustrated, afraid, impatient, excited, or triumphant, listening to their experiences, encouraging them, and cheering them on is what’s really going to help them improve and continue to practice. Perhaps no one can give you better advice on how to support your child in gymnastics than their coach. Check in with them regularly to see how your child is progressing and ask them what you can do to support your child with where they’re at in their training. Talking to your child’s gymnastics coach with help the two of you stay on the same page with your child’s priorities and interests. 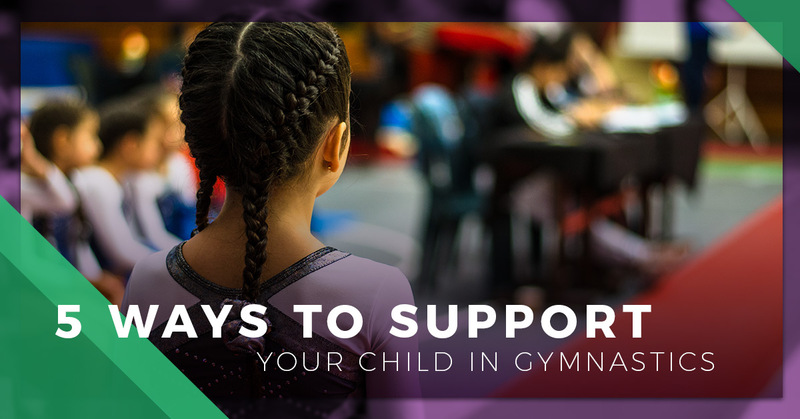 There are plenty of ways to support your young gymnast, but it’s most important that you’re helping them stay healthy and making sure they feel encouraged and loved. 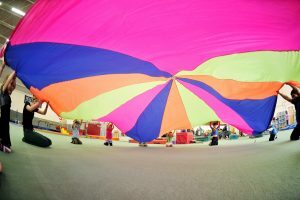 If your child has expressed an interest in gymnastics, register them today for classes at Mountain Kids in Fort Collins.